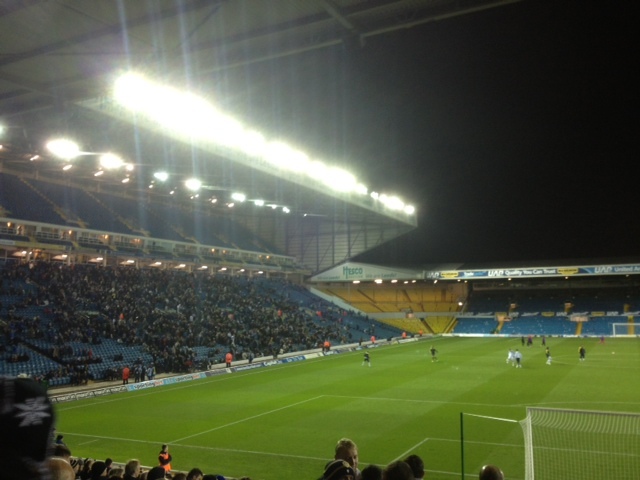 Leeds demolished Southampton at Elland Road to move into the quarter finals of the Capital One Cup. Goals from Michael Tonge, El Hadji Diouf and Luciano Becchio were the difference between the home side and their second premier league scalp of the season, following the defeat of Everton in the previous round. Neil Warnock made four changes from the weekend’s disappointing 1-0 reverse at the hands of Birmingham. Paddy Kenny and Luciano Becchio were both rested and replaced in the line-up by Jamie Ashdown and Luke Varney respectively. Michael Brown returned in place of David Norris and Aidan White also came in as Danny Pugh dropped to the bench. Southampton boss Nigel Adkins made the bold decision to change his entire starting eleven from their 2-1 home defeat to Tottenham. Merely knowing the names on the team sheet is rarely an indicator of how a Warnock side will line-up, such is the man’s desire for fielding players in unexpected positions. Upon kick-off, it soon became evident that Luke Varney was to play as a striker. Left-footed Aidan White was deployed on the right hand side of midfield as right-footed Lee Peltier moved across the backline to left-back. The versatile Sam Byram filled in at right-back. Leeds dominated from the whistle and were full of attacking intent. White and Byram were dangerous down the right, as were Peltier and Michael Tonge on the left. El Hadji Diouf started in his usual assured manner and the midfield duo of Rodolph Austin and Michael Brown were more than matching their south-coast counterparts. The first opening of the game came after a quarter of an hour. And what an opening. Diouf cut the ball back well into the six yard box, presenting Varney with an open goal which he astonishingly contrived to miss from little more than a yard. One for the bloopers DVD which prompted chants from the kop of “If Varney scores, we’re on the pitch”. Varney and the goalposts continued their battle throughout the half, as he fired wide with a good low shot before hitting the post minutes later after latching on to a poor back-pass. Austin then joined the party, heading wide of goal when it looked easier to score. Despite an inability to take them, Leeds were creating many chances and should have been several goals to the good before the opener finally arrived shortly before half time. Varney, who was playing well in spite of his missed opportunities, waltzed into the box and saw his cut-back parried by the goalkeeper. The ball fell to Tonge on the edge of the area, who fired low into the net. Leeds took a deserved lead into the half-time interval. Southampton had offered very little and were easily repelled by Jason Pearce and Tom Lees when they did manage to cross the half-way line. The second period began in much the same ilk. Leeds continued to threaten and were looking far more dangerous than in either of the two previous home matches against Charlton and Birmingham. Diouf fired over from a free-kick after Varney was felled. Varney then had yet another chance himself but could only fire straight at the goalkeeper when through at an acute angle. Adkins made a double substitution mid way through the half in an attempt to invigorate his lifeless troops. For ten minutes, Southampton did begin the make their way back into the match and threatened to make Leeds pay for not taking more of their chances. However, in spite of an improvement from the opposition, Ashdown, Pearce, Lees et al held firm with relative ease. Although performances of late have been of a frustrating nature, it is worth noting that Leeds are showing a lot of promise defensively. Leeds secured their passage into the next round and got the extra goals that the performance deserved with two late strikes. Firstly, a lung-busting run from Austin ended when his low shot was parried into the path of Diouf, who duly gave Varney a master class in how to tap a ball into an empty net. The cherry atop the cake arrived in injury time as a penalty was awarded for a foul on Tonge. Luciano Becchio, who had only stepped off the bench moments earlier, side-footed home to seal a 3-0 victory. Attention now turns to who we will be pitted against in the last-eight. Some will fancy lowly Bradford, others will want one of the big-boys. At the very least, Leeds can begin to dream of a trip to Wembley. Let us also dream that our Capital One Cup form can be transferred into league matches, starting with Friday night’s tough looking trip to Brighton. Many thanks to those of you who entered my ‘predict the score’ competition on Twitter. The closest guess came from Matt Ward (@M4tt1919) who predicted a 3-1 win and goals from Diouf and Becchio. Send your predictions (including goalscorers) for the next home match to me @Matt_K_Burton for the chance to be mentioned in the match report.